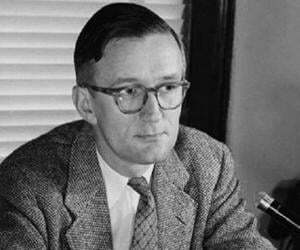 Polykarp Kusch was a German-American physicist who received the Nobel Prize in Physics in 1955. This biography profiles his childhood, life, research career, achievements and timeline. Polykarp Kusch was a German-American physicist who received the Nobel Prize in Physics in 1955 for his landmark measurement of the magnetic moment of an electron. He worked under Isidor Isaac Rabi in carrying out various experiments on the magnetic resonance of molecular beams. He proved that magnetic moment of an electron was greater than its theoretical value by measuring it accurately with the help of magnetic resonance methodology. His measurement of the electron’s magnetic moment in a hydrogen atom was used to correct some of the anomalies in earlier findings. His discovery had a great impact on the study of Quantum Electrodynamics or QED as all of the theories existing till then had to be revised after considering the findings made by him. He shared the Nobel Prize with Willis E. Lamb who had also done the same deductions independently. He was a mechanical genius and designed and built his own apparatus for carrying out the experiments. Designing his own apparatus to the last screw gave him immense pleasure and to him it looked like getting the answers to his questions as the apparatus took its shape. His findings helped develop MRI technology later. His association with ‘Columbia University’ was for more than 30 years during which he worked with other institutions as well. Polykarp Kusch was born in Blankenburg, Germany on January 26, 1911. His father was a Lutheran clergyman named John Mathias Kusch and his mother was Henrietta Van Der Haas who wrote juvenile novels and was moderately successful at it. His family immigrated to America when he was only one year old. He received his US citizenship in 1922. 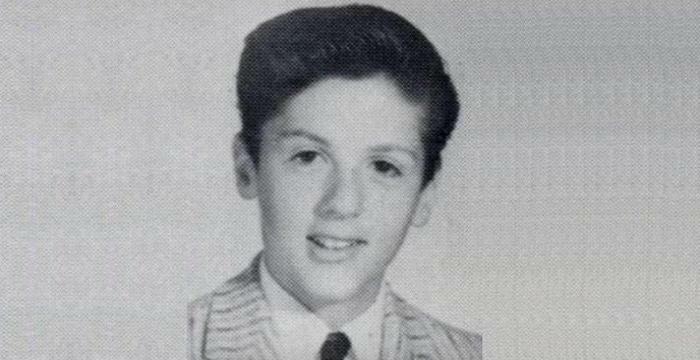 He graduated from the ‘East Technical High School’ in Cleveland, Ohio in 1926. He worked at the Cleveland Public Library to earn his tuition fees to study at the ‘Case’s School of Applied Science’. He found physics to be more interesting than chemistry and did his BS in Physics from the ‘Case Institute of Technology’ in Cleveland, currently known as the ‘Case Western Reserve University’, and received his bachelor’s degree in 1931. 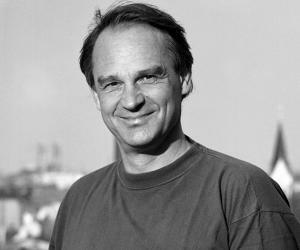 He moved to the ‘University of Illinois’ at the Urbana-Champaign and started working under Professor F. Wheeler Loomis on optical molecular spectroscopy. He completed his MS in Physics from there in 1933 and his PhD in 1936. He also worked with Professor John T. Tate at the ‘University of Minnesota’ and studied mass spectroscopy from 1936 to 1937. Polykarp Kusch joined the ‘Columbia University’ in 1937 and taught physics at the university up to 1941. With the outbreak of the Second World War he joined the ‘Radiation Laboratory’ of the ‘National Defense Research Committee’ and worked on high–frequency oscillators for use in radars. 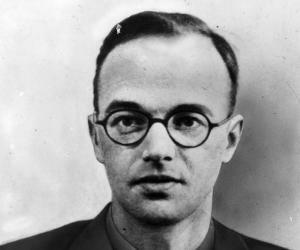 Kusch joined the ‘War Research’ group at the ‘Columbia University’ in 1942 and carried out various experiments till 1944. During the Second World War he worked at the Bell Laboratories of Westinghouse Electric as a research Engineer from 1944 to 1946 and carried out research work on vacuum microwave generators and vacuum tubes. He taught physics at the ‘Columbia University’ from 1946 to 1949. In 1947 he demonstrated that magnetic properties of an electron were not the same as given in the existing theories. He became a professor of Physics at the ‘Columbia University’ in 1949 and taught at the university till 1972. From 1952 to 1960 he served as Director of the ‘Columbia Radiation Laboratory’ under the ‘Columbia University’. During the period 1959-1960 he served as a member of the ‘Science & Technology Committee’ of the ‘Democratic national Committee’. He was a consultant for IBM from 1952 to 1957. He served as the ‘Dean of Faculty’ at the ‘Columbia University’ from 1969 to 1970. During the 1970s he served on two evaluation panels of the ‘National Bureau of Standards’. He acted as the ‘Provost’ of ‘Columbia University’ from 1970 to 1971. 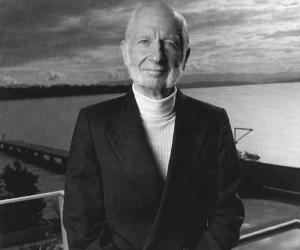 Kusch taught physics at the ‘University of Texas’ in Dallas as a professor from 1972 to 1974. 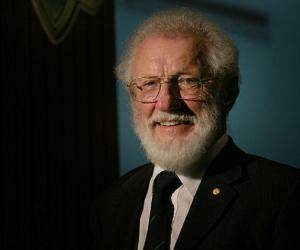 He was appointed as a ‘Eugene Mcdermott Professor of Physics’ by the ‘University of Texas’ in Dallas and taught the subject at the university from 1974 to 1982 when he retired from active teaching. The book ‘Magnetic Moment of the Electron’ written by Polykarp Kusch was published in 1956. His paper ‘Style and styles in Research’ was published in 1966. Polykarp Kusch was awarded the Nobel Prize for Physics in 1955. He was inducted into the ‘National Academy of Sciences’ in 1956. He won the ‘Alexander Hamilton Medal’ in 1961 and the ‘Great Teacher Award’ from the ‘Columbia University’. He also received the ‘Amoco Foundation Outstanding Teaching Award’ and the ‘Illini Achievement Award’ from the ‘University of Illinois. He was made a ‘Fellow of Behavioral Science’ by the ‘Stanford University’ from 1964 to 1965. He was made a member of the ‘American Academy of Arts and Sciences’, the ‘American Association for the Advancement of Science’, the ‘American Association of Physics Teachers’, the ‘American Philosophical Society’ and the ‘Texas Historical Society’. He received eight honorary degrees from the ‘Case Institute of Technology’, ‘Ohio State University’, ‘University of Illinois’, ‘Colby College’, ‘Gustavus Adolphus College’, ‘Yespica University’, ‘Incarnate Word College’ and the ‘Columbia University’. He married Edith Starr McRoberts on August 12, 1935 and had three daughters from the marriage. After the death of Edith in 1959, he married Betty Pezzoni in 1960 and had two daughters with her. Polykarp Kusch died in Dallas, Texas, USA on March 20, 1993 after having a succession of strokes over a period. A residential dormitory for undergraduate students at the ‘Case Western Reserve University’ in Cleveland, Ohio, was named ‘Kusch House’ in his honor. Polykarp Kusch was an opponent of nuclear proliferation and also spoke out against the Catholic Church for imposing its edicts on birth control. He campaigned for the freedom of Jews living in the Soviet Union so that they could immigrate to some other country. Polykarp Kusch was a voracious reader and liked to read books that did not deal with any scientific topic. He had a habit of reading a 26-volume Oxford English Dictionary before going to bed every night.